All ATD-PHL program events align with the ATD Competency Model and Communities of Practice. Below is a listing of our upcoming events. Click the event name to view more details and to register online. For any questions regarding event registration please contact ATD-PHL at info@tdphl.org. Click here to read out event cancellation policy. If a SIG event is cancelled, we will send an email to all registrants letting them know the event has been cancelled. If the event is to be postponed, you will remain registered for the event. If you can't make the postponed date, email info@tdphl.org and ATD-PHL will credit your registration fee to your account to be used at a future event in the same programming year. If you are new to ATD PHL and are looking to connect with a tenured ATD PHL members, sign up to receive an Sherpa! The Sherpa program is design to pair up new members (less than 6 months with Chapter) with someone who can take them on their ATD – PHL journey, but showing them the ropes and introducing them around to others. Click here to learn more about the SIG Sherpa Program. "Successful Culture Integration during an M&A: Creating a Win-Win Mindset"
With mergers and acquisitions at an all-time high in the US, it’s highly likely that you have been or will be involved in a merger or acquisition at some point in your career. Despite the best efforts to derive value from mergers, according to KPMG’s 2018 biannual report on this topic, less than a third of mergers in North America derive any value from the transaction. Much of the problem comes down to the failure to address cultural differences in the organizations being merged. In this session, you will learn how Houghton International and Quaker Chemical are defying the odds of being yet another usual M&A story by following a road map for addressing the potential culture clashes that come from merging two long-time competitors with a combined 250-year history. What makes this an interesting “live” case study is the strong commitment of both companies, from the inception of the deal, to mitigate the hurdles created by the typical win-lose paradigm in a merger or acquisition. The strong commitment of the newly formed company CEO created the high-level sponsorship necessary for the two HR leaders to form the new company culture that is based on a win-win mindset; that is, a 'combination' mindset instead of a traditional acquisition mindset. Kym Johnson, CHRO for Houghton and Ron Ettinger, VP HR for Quaker Chemical will discuss their early strategic partnership and shared commitment to create this win-win orientation. Both believe that this orientation is imperative to setting the foundation for a quick and successful cultural integration. Note: This is a work in progress and thus rich with lessons learned. Session structure- This highly interactive session will be a moderated dialogue between these two leaders. Mary Haskins (Strategy Convergence Consulting, LLC) will be the moderator. You are invited to bring your most challenging questions about addressing the cultural aspects of M&As. Kym Johnson is SVP, Global Human Resources for Houghton International. 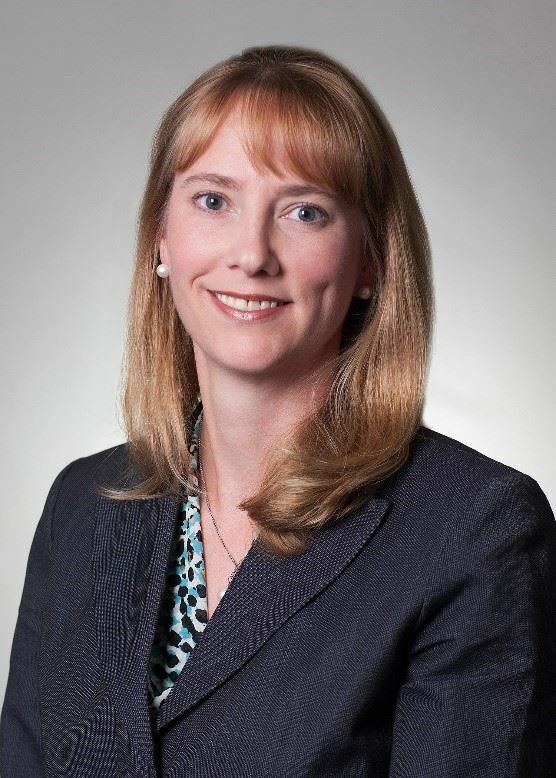 She joined Houghton International as Chief Human Resources Officer on June 1, 2015. Ms. Johnson brings over 25 years of experience in the chemical industry and 20+ years of global human resources leadership to the Houghton executive team. 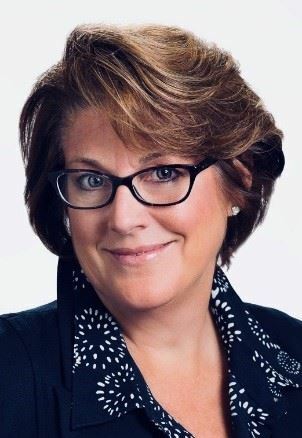 Prior to joining Houghton, Kym served as VP, Human Resources & CHRO of FMC Corporation, a global chemical company with over $4 billion in sales and more than 6,000 global employees. She began her career as a chemist at FMC and advanced through successive human resources roles, including the leadership of HR for the Asia Pacific region in Shanghai. She returned to the U.S. to lead global talent management and global human resources for FMC. She earned her Bachelor of Science degree in chemistry from the University of Delaware and her master’s degree in human resources management from Rutgers University. Ron Ettinger is VP, Human Resources and an officer of Quaker Chemical Corporation, a publicly traded specialty chemical company. Prior to this Ron has over thirty years’ experience in the areas of Clinical Psychology, Organization Development and Talent Management specializing in Organization and Culture Change. Ron’s formal training was in clinical psychology which has created the underpinnings of his approach to working with executives and high potential leadership. Prior to Ron’s tenure as an HR Executive he spent most of this career working in both public and private corporations holding various management positions in the areas of management, executive and organization development. He has experience as both an internal and external coach working with established and emerging leaders in an assortment of industries. Prior to this he spent over a decade as an Individual and Family therapist. His current work integrates clinical methodologies into the dynamic corporate context. She brings over 20 years’ experience to helping global businesses achieve strategic goals through culture, leadership and enterprise-wide transformation programs. She focuses on translating business strategy into tactical programs and mobilizing organizations and teams to execute these programs with a high emphasis on accountability and business impact delivery. Prior to founding Strategy Convergence Consulting, she was global VP of Leadership Experience at SAP and led multiple major business transformations including the globalization of services delivery and the conversion from direct to digital marketing. During her tenure at SAP she introduced the first leadership strategy and led the efforts to more than double leadership trust. We know that adult learners would rather be doing than spending time in the classroom. As training professionals, we are always looking for tools to help develop skills in a meaningful, yet digestible way. This session will demonstrate how your greatest tool for training lies within your organization's very own success stories. Use our formula for deconstructing stories, applying skills-based knowledge and inviting engagement. It's a true alternative to canned or even customized training content because it's your content and context is everything. Dayna has been consulting with Fortune 1000 firms on talent development and performance initiatives since 2006. She specializes in both instructional design strategy and in sales training. Throughout her career, Dayna has worked with hundreds of clients in Financial Services, Insurance, Technology, Hospitality, Pharmaceuticals, and Professional Services. 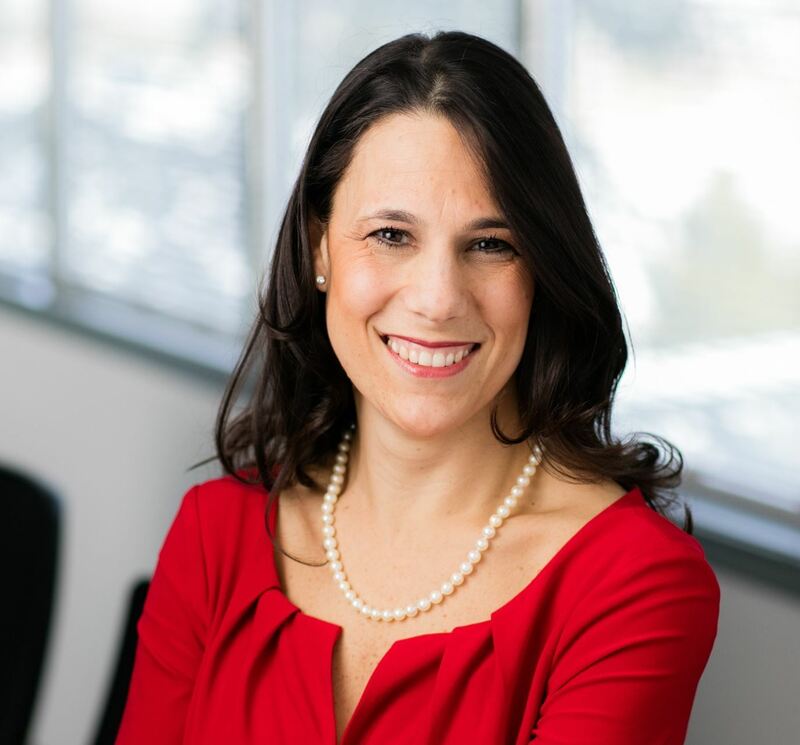 Dayna has served on various non-profit boards, most recently as the President of the Association for Talent Development (ATD), Philadelphia Chapter, where she is currently a board advisor. She is also a thought contributor and author for ATD National’s Sales Enablement Community of Practice and has been asked to serve as the programming chairperson for their 2018 and 2019 Sales Enablement Learning and Leadership conference. 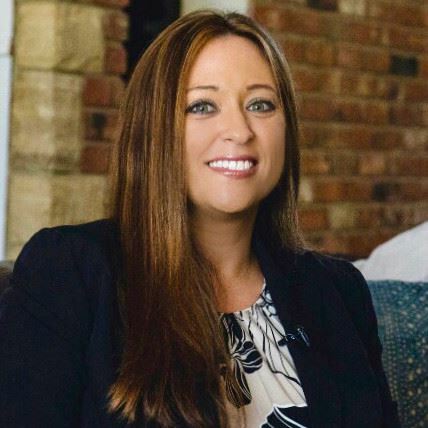 Dayna has a Graduate Degree in Organizational Change, enjoys mentoring young professionals, and frequently speaks at events around the country. Did you end up in L&D by accident or intent? Is it a quick off-ramp or a destination? Like Lewis Carroll said, "If you don't know where you're going, any road will take you there". That cannot be truer than when thinking about our own career journey. ATD-PHL members will receive member pricing! In today’s fast paced, ever changing world, leaders--now more than ever--need to unlock the talent of everyone on their teams—no matter what their difference. It is by unlocking the best thinking and experiences because of who we are and what we know that allows companies to create value and drive performance in our consumer-led world. So….is that even possible? Join the conversation and hear how one multi-national company has created an award-winning framework that accelerates the career advancement of talent from different genders and ethnic backgrounds. Learn how to initiate a practical approach to creating systemic change from the original designer. Gain insights about the “X” factor and why it works from graduates of the program in a panel discussion. If you want to make a difference by developing diverse talent where you work, you will want to join the dialogue. Stephanie Trotter is an internal executive coach at GSK. With diverse experiences as a business leader, organizational development consultant, in talent management, and leadership development, she supports the transformational growth of leaders at GSK. While being a collaborative coach, she challenges her clients to have the courage to explore who they are, what is important to them, and pursue their dreams. Stephanie is known to be a strong strategic thinker while grounded in practical business approaches and a solution-oriented mind set. Real world experiences shape her coaching from her background as a sales leader who has worked in the trenches. Her coaching clients vary from women in leadership to senior executives in R&D, the commercial organization, IT, and human resources. What energizes Stephanie the most about coaching is seeing people become more powerful when they tap into their potential, live their purpose, and pursue their passions. 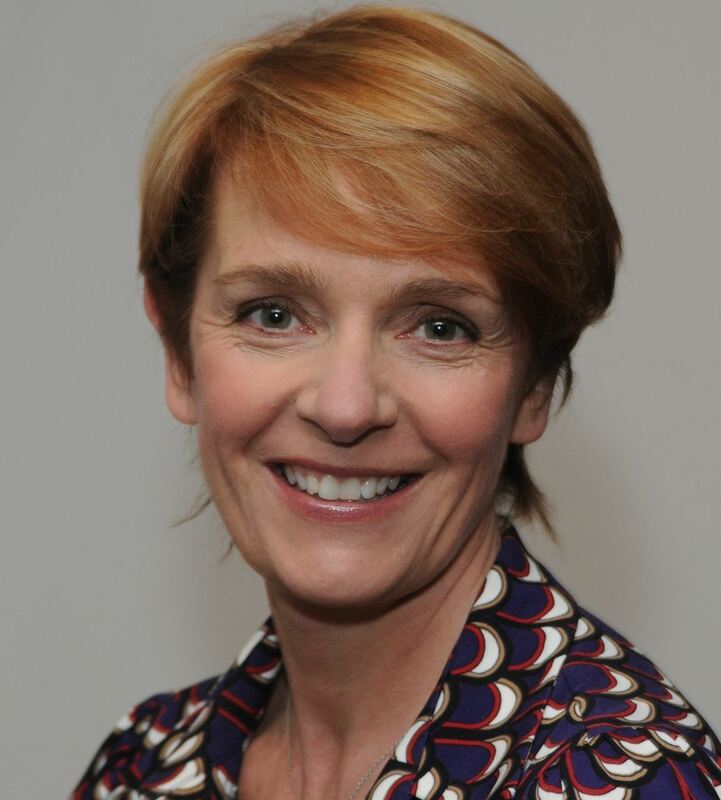 As a member of the coaching team, she contributes to GSK’s award-winning coaching initiatives by shaping the design of the Accelerating Differences program, training Job Plus coaches, and partnering with leaders to use new and different coaching approaches to meet their business needs. Her passion is spending time with her family going to the beach, bike riding, or being a soccer mom for Jonathan (11) and Emily (10). As Millennials, and next in line the iGen, begin to take over the workforce, they are bringing with them leadership trends that will shape the future of organizational leadership. Modern organizations must respond to an increased pace of the workplace, and the nature of executives’ tasks is increasingly complex. Despite the evidence suggesting that focusing on growth versus performance will lead to better long‐term performance, many organizations continue to emphasize managing performance instead of leading growth. Together we will explore how trends such as real‐time feedback, agile networks of teams, advanced people analytics, micro‐learning, personalized learning, and artificial intelligence will enable the people analytics and digitally minded leader to shape the future of leadership. In addition to delving deeply into this emerging topic, this meeting serves as a launch point for ATD’s newest Special Interest Group (SIG): People Analytics and the Digital Leader. Please come, engage, and build a community around this critical and important area. This spirit of innovation and creative problem solving flows into Dr. Rivera’s administrative roles at Fox. 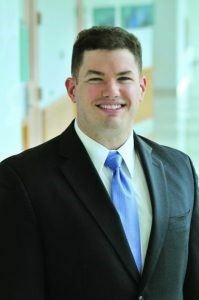 In addition to his teaching responsibilities, he has also served as the Academic Director of the Executive MBA program. In this role, he oversees an expanding program, with cohorts currently running in Philadelphia, PA; Tokyo, Japan; Paris, France; Singapore; and Bogota, Colombia. Dr. Rivera’s expertise in global negotiations and forming partnerships has allowed the program not only to grow, but also to earn some of its highest rankings in the U.S. and around the world. Up until this year, Dr. Rivera served as Managing Director of the Center for Executive Education, which provides customized, accessible, interactive professional development workshops to senior executives and emerging leaders across industries. This new initiative is already working closely with leading local and international businesses to provide key business and leadership skills to their employees. Dr. Rivera, a lifelong Philadelphian, holds a B.S. and an MBA from Taylor University, an M.S. from Indiana University, and a Ph.D. from Purdue University. He lives in Montgomery County with his wife Rachel, son Michael and daughter Viviana. In his spare time, he enjoys traveling, cooking, hiking, biking, and playing music. Are you planning to go to the 2019 ATD International Conference and Exposition (ICE) and want to SAVE $$$? Sign Up NOW for a big discount by joining our ATD-PHL Conference Team! ATD 2019 is the premier talent development conference. With more than 350 education sessions led by world-renowned thought leaders, you’re sure to have your burning learning questions answered. Make sure to join 10,500 of your peers from more than 90 countries. SIGN UP WITH THE ATD-PHL TEAM NOW! For more information about the conference, click here to visit the website. Want to gain a better understanding of how you can be more successful without changing a thing about yourself? Join Heather Kay, Sr. Director of Talent Management at Sungard Availability Services for an Overview of Gallup's Strengths-Based Development. The discussion will center around why you should focus on doing what you do best rather than trying to fix your weaknesses...and how to translate to it to your world. Whether as an Individual Contributor, Leader of a team, Volunteer or a Parent, understanding your Strengths will lead to a more effective, efficient and productive experience. References to the CliftonStregnths Assessment will be introduced, but completion of the Assessment is not necessary to participate. If you would like to complete the Assessment prior to the discussion, go to https://www.gallupstrengthscenter.com/ and choose either the Top 5 or 34 Assessments. "Client-Supplier Relationship for Internal and External Consultants"
Consulting strategies to successfully manage client relationships at a minimum require having business industry insights, client relationship savviness, and acute capabilities in one’s chosen subject-matter or field of expertise. Both internal and external talent development consultants face similar challenges throughout the lifespan of a given project or corporate initiative. Consulting Forum is a special interest group new to the ATD Greater Philadelphia chapter in 2019. In our inaugural Consulting Forum, SIG leaders Stephanie Fillman and Mark Spool will facilitate several activities to generate a rich discussion on the dynamics surrounding the client-supplier relationship. Small group discussion, table group activity, and a large group review discussion will provide for an evening of enrichment and relationship building in a friendly, non-competitive atmosphere. Throughout the evening activities we will also be listening for key themes and pressing topics that you, our ATD PHL chapter members and guests would like to discuss at our future Consulting Forums. We look forward to meeting you at this exciting event! We recognize the need to support like-minded TD professionals who consult with organizational leadership. Our professional community is comprised of experienced and newer internal and external consultants. We also welcome colleagues who are considering becoming an external consultant. Our purpose is to promote insightful and friendly knowledge sharing on this broad and diverse topic of consulting in the area of Talent Development (and Learning and Development). Our only criteria for participating in this forum is your willingness to learn and share knowledge, and your collective help to maintain a friendly, non-competitive environment. Join us for the ATD Greater Philadelphia Chapter 2019 Summer Networking Extravaganza! This year we are meeting at Taphouse 23 in Bridgeport on July 23rd for snacks, craft beers (23 on tap! ), prizes, games, and great conversation. · Interactive games designed to help you start conversations and meet new people. · Raffle for a prizes including ATD books and registration to an upcoming event. · The opportunity to meet like-minded people doing the same job in your own backyard! So bring your friends and join us for this unique opportunity for fun and networking in the summer sun! ATD-PHL’s Refund & Event Onsite Policy for Chapter Events. March 14, 2019 Career Makeover: Get Polished! Get Noticed! Get Hired! February 28, 2019 Leadership & OD SIG Event: "Business Priorities Driven Through Human Engagement: Round-table Discussion"
December 11, 2018 Leadership & OD SIG Event: "How to Leverage or Shift a Strong Organization Culture"
February 15, 2018 Lunch & Learn Webinar: How to Love Managing Custom Learning Projects! February 01, 2018 Lunch & Learn Webinar: What If Everything You Know About Personality Styles Training Is Wrong? December 04, 2017 Employee Learning Week: Sip, Savor and Share! November 09, 2017 Lunch & Learn Webinar: Conflict Can Be Productive! October 25, 2017 Partner Event: Create a Culture of Leadership: Disruption! June 22, 2016 New and Prospective Members Orientation & Chapter Member "Meet-Up"
October 14, 2015 New and Prospective Members Orientation & Chapter Member "Meet-Up"
January 21, 2015 Join us and event Partner PSPS for Five Workplace Predictions for the Next Five Years Leading Into 2020 with Jeanne Meister!